Unidos Por La Libertad, Org. dba Business & Debt Counseling Services (BDC) is dedicated to assist consumers in achieving financial fitness through personal finance education and fiscal responsibility. BDC provides credit and debt management solutions which are focused on the development of improved spending habits, self -advocacy, and budgeting. As an organization, we strive to serve our client's according to best industry practices with the highest integrity, quality, and excellence. Our credit counselors are certified or accredited by the National Association of Certified Credit Counselors (NACCC) or the Association for Financial Counseling Planning and Education (AFCPE) to effectively teach and mentor consumers seeking ways to reduce and manage credit debt while gaining the personal finance resources and budgeting tools to quickly resolve financial hardship. During your complimentary initial credit counseling session, our professional counselors will assist you to create a budget, savings and action plan targeted at reducing debt and obtaining relief from financial strain. The counseling sessions are confidential, subjected to rigorous quality assurance standards and monitored by our accrediting agencies. We are accomplished at guiding you in developing a realistic household budget and gaining the skills to pay-down credit debt. Your personal counselor will continue to review and assist you to refine your personal repayment, savings or action plan with advice tailored to your unique situation. Once you have completed the credit debt counseling session, your personal counselor will continue to present you with additional options to further your journey toward financial fitness. One of which might be enrolling in a debt management plan. Debt management plans are negotiated allowances from creditors which result in lowered fees, interest rates and/or waived fees including over limit fees and late fees, re-aged credit accounts, and other benefits. 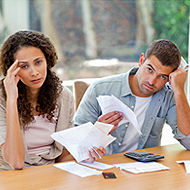 If after receiving counseling you choice to consolidate your unsecured debt into one manageable monthly payment (without taking out a loan or putting your home at risk) your personal counselor will establish a repayment plan that may provide benefits which can help bring your delinquent accounts current. It is our goal to assist you to take financial inventory, explore all available options, and make an informed final decision on a path toward prosperity. 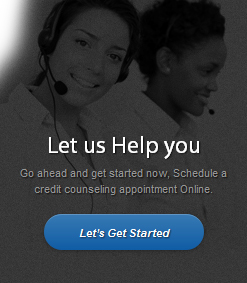 Your participation in a credit counseling program is not contingent upon your enrollment into a debt management plan. To be prepared for your consultation, develop a list of your monthly expense and gather your most recent pay stubs or other proof of income. Call Business & Debt Counseling Services at 323-331-7531 to schedule a credit counseling appointment or go ahead and get started now online. If you are running short on time, leave us a name and a number and a counselor will contact you at your convenience.